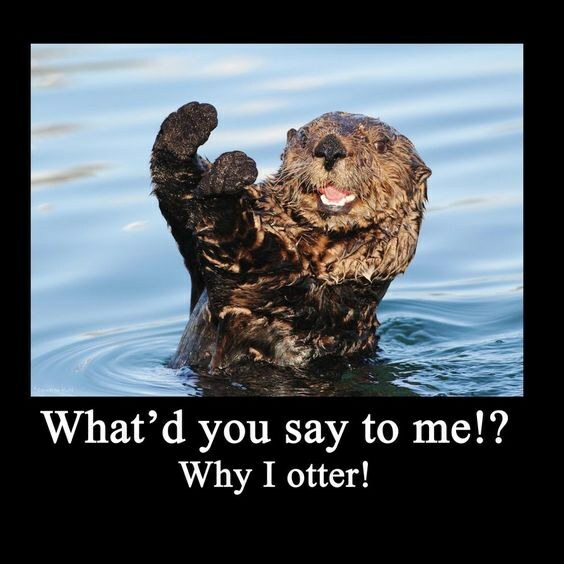 Otters might be the most adorable marine animals. 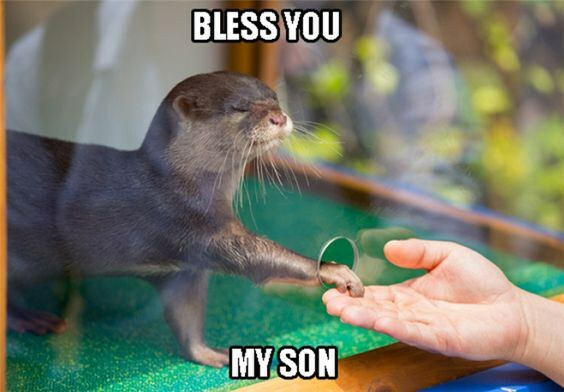 That was reason enough for us to compile a collection of 17 otter memes guaranteed to brighten your day. 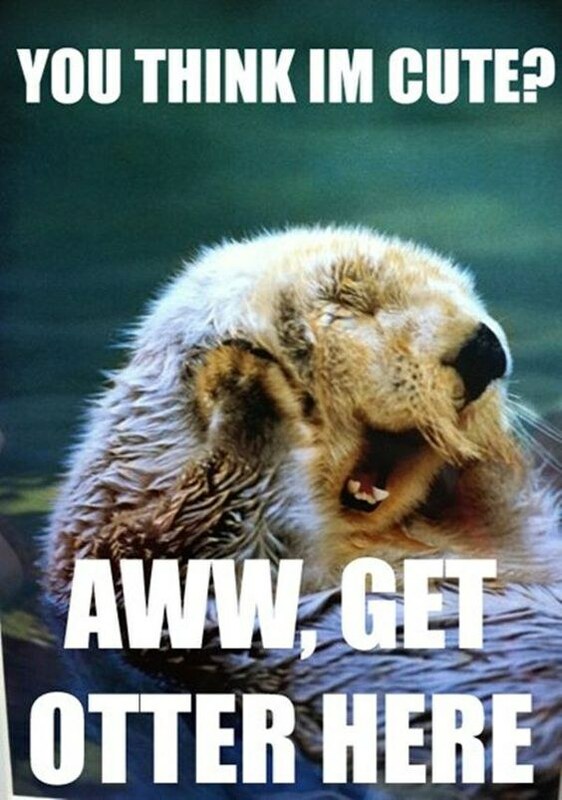 Otters might be the most adorable marine animals. They're also incredibly playful and intelligent. 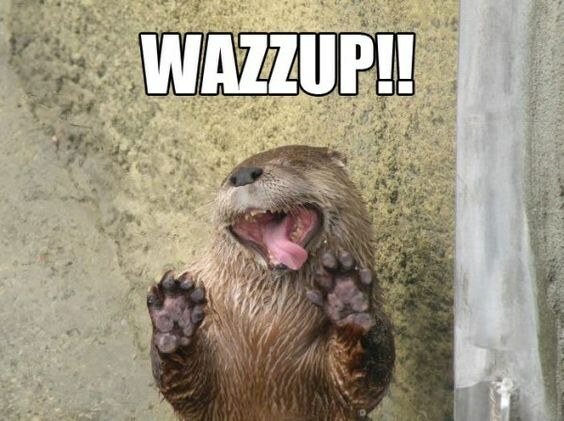 For all you otter lovers: Here are 17 otter memes to brighten your day. 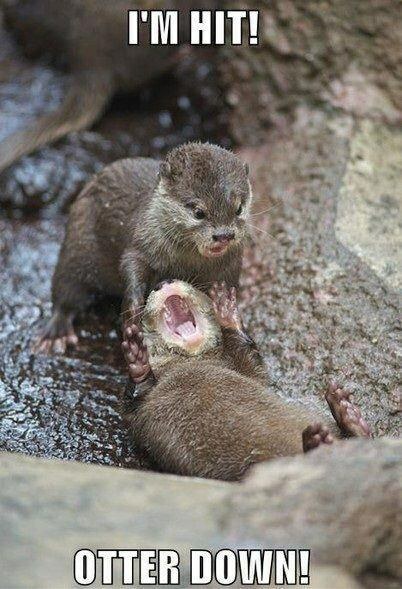 This photo is probably from a Japanese zoo where the otters have a special waterslide. 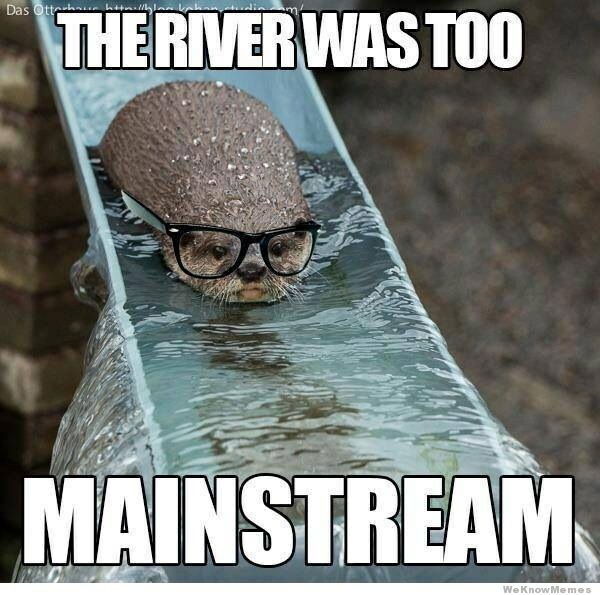 Too cool for the river. 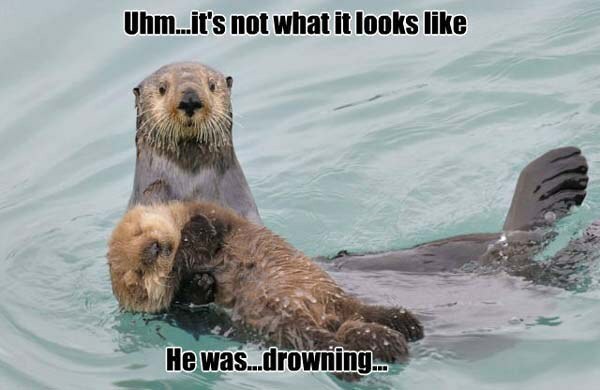 Otter pups can't really swim, so their moms have to carry them everywhere. This picture of a mom with her sleepy pup is totally normal behavior, but the expression on the mom's face makes it hilarious. 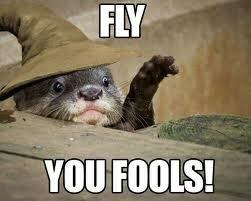 Just a cute otter turned into a "Lord of the Rings" reference. 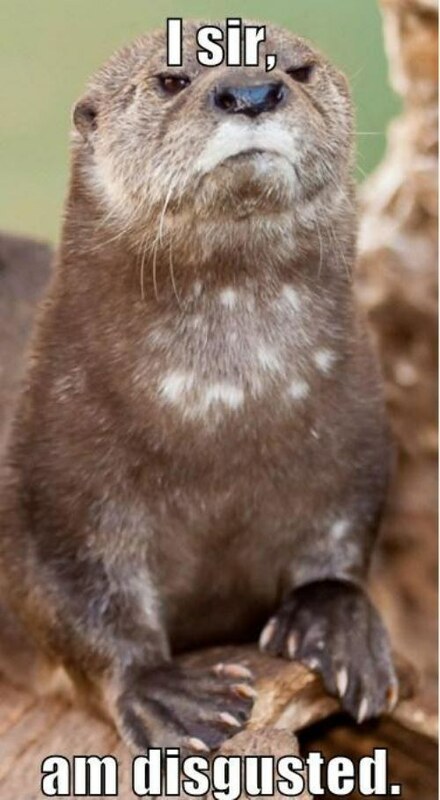 A perfectly timed photograph turned this otter into a wise sage who can bless you with his touch. You can hear the British accent. 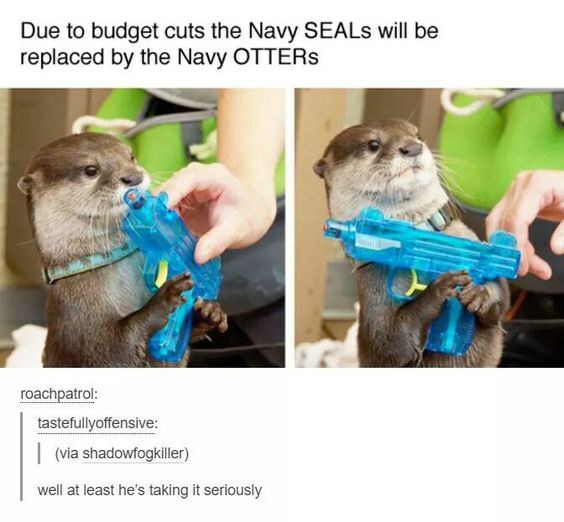 "Officer Otter reporting for duty, sir!" "Hang in there, friend! Help is on the way!" 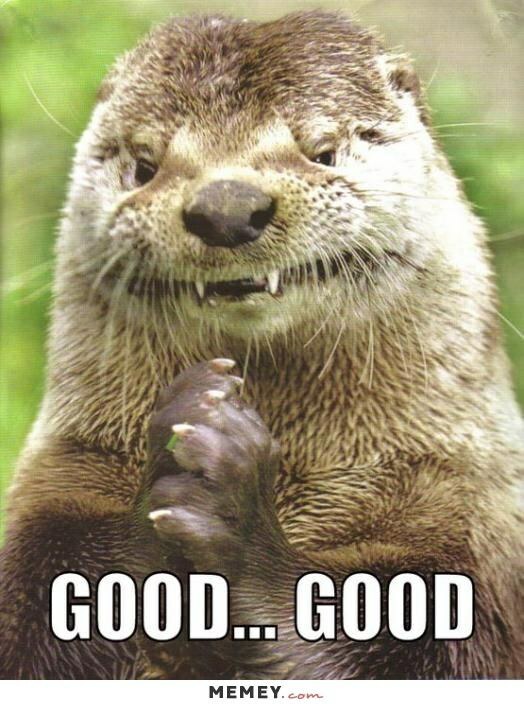 This might be the most meme-able otter photo ever taken. He is clearly very angry about something. 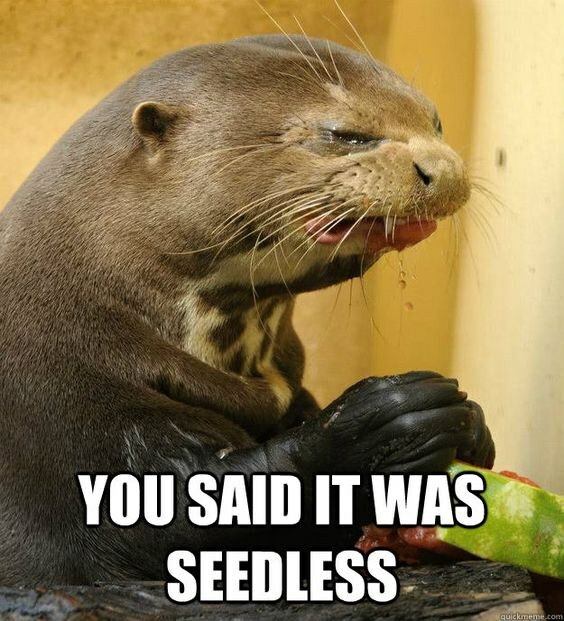 Maybe he was angry about the seeds in his watermelon. 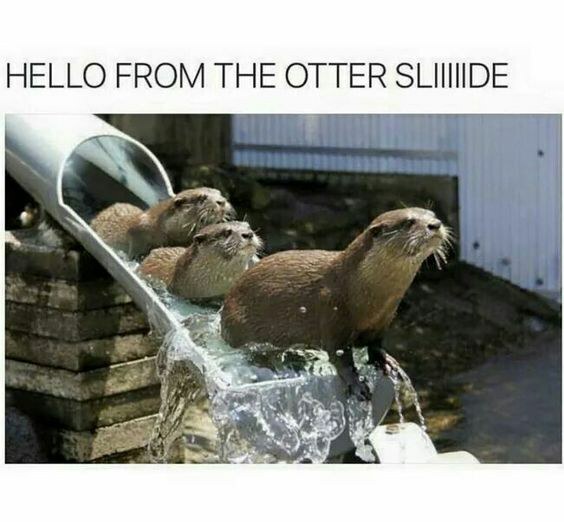 We vote for these guys to be Adele's new backup singers. 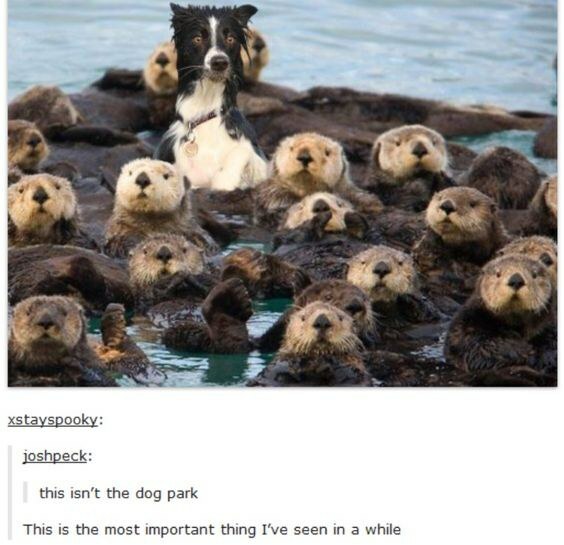 Nothing cuter than a dog meme and an otter meme put together. 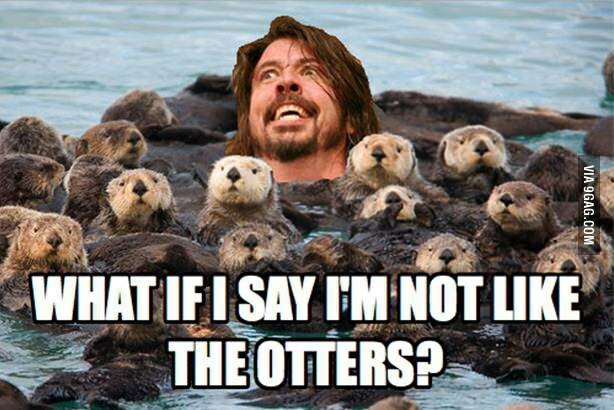 Dave Grohl and otters, all in one meme = pure gold. You probably already know this one, but we still had to include it. She may need some time to cool off. 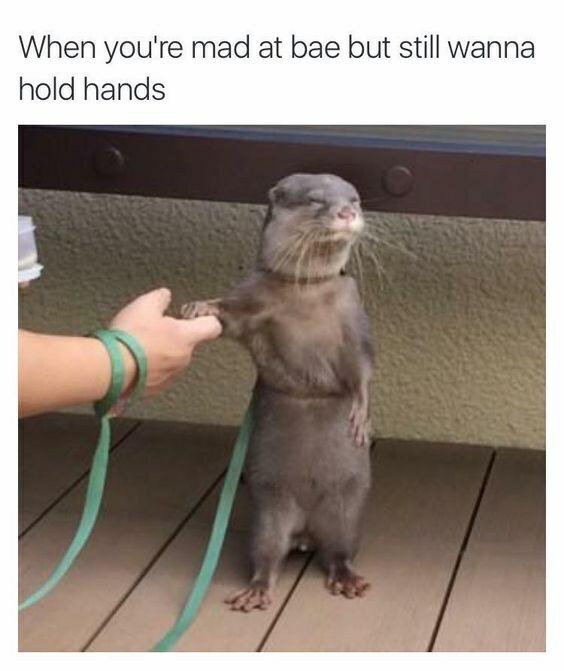 You are cute, little guy. We're not just saying that. 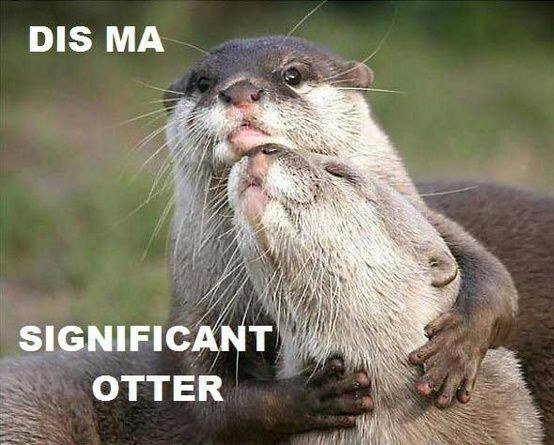 Hope you enjoyed all these adorable otter memes. 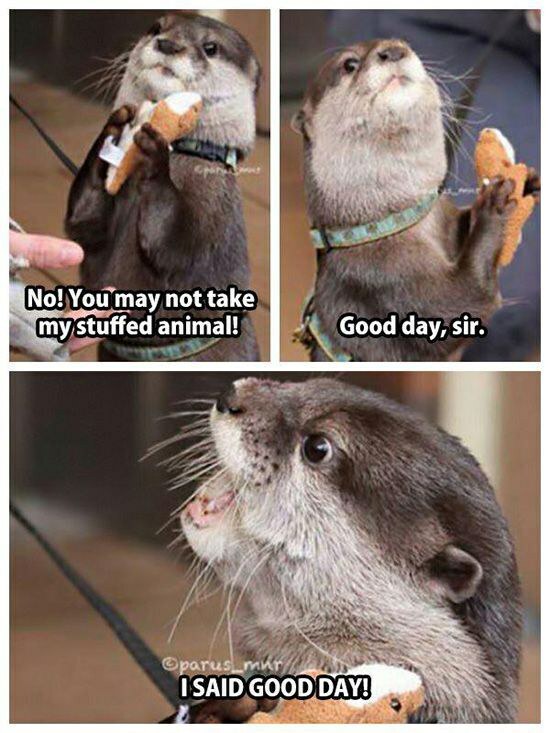 Come back an-otter day!